2. Alpha Lipoic Acid is less stable in formulations that contain water and use of formulations of ALA containing water is highly discouraged. This formulation is water-free and may feel slightly 'oily' for a few seconds after application. This products is a game-changer for me. It helps me with overall texture of the skin. It gets really soft and I find that my makeup looks better. I like to use it the night before I want to have an extra good day skin or when I don't have time for anything else. I just put on this and go to sleep. Gonna buy one for my mom, its that good. The Original is bloody fantastic whatever the product! Found the brand by accident, I love the approach. The products smell a bit chemically but that is the nature of the ingredient. When they say no fragrance or any unnecessary ingredients that jack up the price - they mean it. I have been using a completely Original skincare routine + sunscreen. My skin has a JLo glow. Brilliant! I have used this product three times since buying it last week. The change in my skin has been rather dramatic. The product is potent, it results in a temporary tingling sensation which disappears soon after. My skin has now become accustomed to the product after three uses and this sensation occurs for a far shorter period. I do not wake up to smooth and polished skin as others have said. My skin is normally super sensitive and can be very drying. So it was no surprise that the product resulted in flaking the next morning. I embraced this nonetheless as it meant out with any dead skin. I find that exfoliating and moisturising solves this issue. Now for the good part - which is actually amazing: my skin is brighter. I welcomed this as my skin has been dull for some time now. Further to this, my hyper pigmentation has reduced somewhat. I am a southern Asian, with hyper pigmentation around my mouth. This is super stubborn to remove. I have found that the above acid results in the patches looking slightly smaller and as though it is breaking up. I also scar easily from spots (which are unfortunately hormonal). This normally results in hyper pigmentation that can take several months to clear. Since using this the dark spots are fading and,to my pleasure, some are actually just peeling off. A side note is that I have experienced no spots/purging from this to date. Thank you, The Ordinary. This provides quick results, so I continue to be amazed by the low prices yet great quality of your products. Possibly the best purchase I ever made. I have used it twice. I know it is too soon to judge a skincare product, but it really has made a difference. I have stubborn hyper-pigmentation from acne scarring and literally nothing ever helped. Now it has quite noticeably faded. I am excited to see the long term results but so far so good! I would suggest you do a patch test before applying this to your face, just to be sure you are not too sensitive. I hadn't had any issues. It didn't sting my face at all. Sunscreen is SOS, and of course you should use it only at night. Avoid eye area too. 100% recommend! I love the ordinary since ordering this I have gone onto reading about the products and order other products. This oil does sting but that is short-term and is worth the slight pain as skin looks lovely the next day. I cannot wait to try other products from this brand!! Defo recommend this for anyone looking for a good healthy skin. My favourite product from The Ordinary! After purchasing it and then reading the box, I was a little disappointed to see that it was recommended for brightening and targeting signs of ageing - neither of which problems that I have (I told the representative that I want to improve texture, but that I had extremely sensitive skin so I was a reluctant to use any harsh products). I was shocked to see that on the back of the box, it states that it shouldn't be used on sensitive skin, and should only be used 2-3 times a week due to its strength. I felt like this product was incorrectly recommended, but given that I'd spent the money on it already and I'm lucky enough to have skin that bounces back really quickly from reactions, I gave it a shot. I'm glad I did, because now I can honestly say this is my favourite product from the entire The Ordinary range. Skincare is something I've recently taken a huge interest in and as a result, I own nearly everything from The Ordinary (I have dry skin and I test the products ideal for oily skin on my boyfriend, that's how obsessed with collecting skincare products I am...), and the results I got from using the Alpha Lipoic Acid 5% every other day are incredible. The first few times I applied this I noted a light stingy sensation (being a redhead I feel stingy pains worse than others, yay, yet I'd still say this feeling is very mild), and I kind of panicked thinking it was my sensitive skin. After about 20 minutes this subsided, and after a few weeks of using it, I don't get the sensation anymore. I've noticed none of the reactions I usually get with products that don't work for my skin from using it, despite my skin's sensitivity. I do however keep getting the occasional spot now, which is something I only ever really used to get that time of the month, and this is the only thing I've changed in my routine recently. Another thing that was also notable is the smell, and it's the only thing I don't like about this product. My boyfriend even checked our fire alarms because he thought he could smell something burning - turns out the smell was my face. It smells like burning plastic. I have a really strong sense of smell so for me everything is really strong, but my boyfriend's sense of smell is pretty poor and he still commented on it. For that reason, I'd definitely recommend using this product at night. I think it's important to note here that I by no means have 'bad' texture. My skin is pretty good other than dryness which I work hard to prevent, but when I put makeup on I seem to get a whole bunch of texture that isn't even there normally. That's what I was aiming to improve by using this serum. 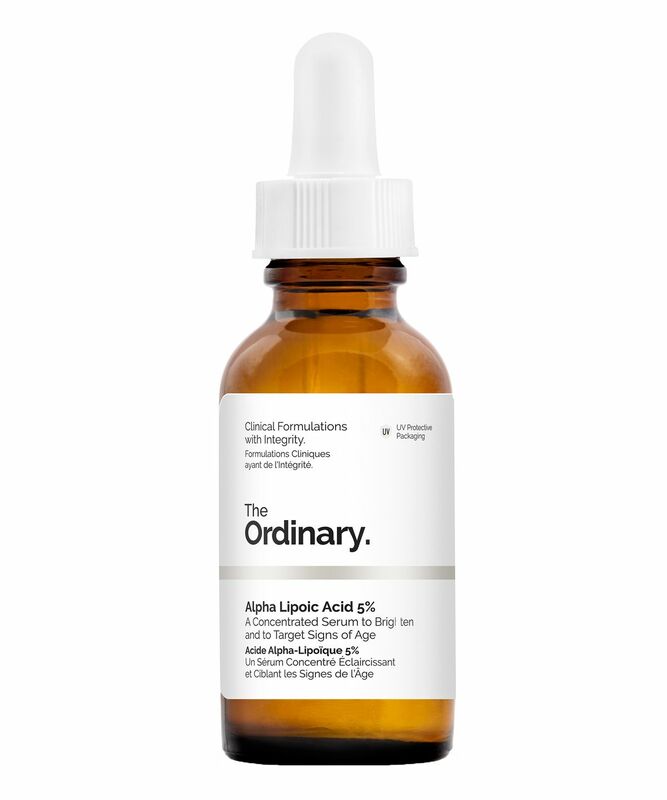 It isn't like The Ordinary's Azelaic Acid Suspension 10% in that it doesn't provide an immediate effect, instead it improves skin texture over time with repeated use, however, the improvements are visible after a short period of use (2-3 weeks). After using it for a few months I can report that it has improved the texture with makeup issue I was experiencing drastically, and my skin hasn't been this soft since I came out of the womb. My skin consistently feels hydrated and plump even without applying extra products to lock in moisture (I did this purely as a test for a week, but wouldn't normally do that though). Every foundation looks so much better and less patchy, but more importantly, I now have enough confidence in my skin to not even feel the need to wear foundation (I used to wear foundation swimming, to the gym, you name it). I didn't purchase this product to improve fine lines, but the effect it has had on them has been nothing short of a miracle. I previously used The Ordinary Argireline 10% which offered an immediate lightly diffused effect that sadly never lasted. Personally, I would prefer to work at things for a longer period to achieve long lasting results, which is exactly what the Alpha Lipoic Acid 5% does. From 2 weeks of usage, I noticed the fine lines on my forehead getting shorter, where they used to extend to just before my temples and now they're just in the centre of my forehead. I think with repeated usage, this may well just fade those lines altogether. I was tossing up Botox for these fine lines as I thought that would be the only thing that worked (I used to a bit of a skeptic with anti-wrinkle products), so for such a cheap alternative to show signs of improvement in just two weeks is incredible to me. I don't have any deep wrinkles, but for fine lines, this really did work wonders. Being porcelain skinned brightening products are pretty much a no-go for me. The effect is so subtle I can't usually see it. This serum did provide a brightening effect, again, very subtle, but more noticeable than with other brightening products I've used and I think it would work great on darker skin than mine. The few downfalls - awful scent and occasional spot - feel worth it to me for all of the amazing improvements my skin experiences when I use this product. I can easily cover up a spot with some concealer, but when my skin is dry and flaky there is no covering up and makeup often makes it look even worse, so for me, it's a no brainer. The price is such good value as well, as you only use a small amount each time (I used 3-4 drops, the box recommends 2-3 drops, either I'm not squirting enough out or have a large head). I will repurchase this again and again when I eventually run out, though I don't see that being anytime soon. For me, this is a must have, and I highly recommend it. I have to use it more! I didn't use it too much, so I can't say exactly, but I know my skin feels good after using it.I can't say anything about long-term results about this one, because I have to use it more, but until now no problems with it and antioxidants are always a YES! I put this on at night and in the morning the appearance of my skin looked amazing. I do not have acne prone skin, but have a few blemishes and I haven't seen an improvement. I've been using it for maybe over a month now and sometimes it stings when I put it on, which I don't mind because I feel like its working its magic. However the price is really good so I cant complain, I don't think i'll buy it again. This serum definitely shows results only after one use. Skin looks more radiant in the morning. Not too strong for my skin that has mild rosacea. The scent of this though...it must somehow react with my skin to produce a nasty smell that was almost unbearable at first. Hence only four stars. Now I’ve developed some sort of tolerance. I have recently been introduced to this brand and for the price, I thought I'd check it out. I have suffered from acne scars and started to break out on my forehead recently. This product not only cleared my forehead it also gave me a beautiful glow to my skin. My friends could not believe I was wearing no foundation on a night out! Since then I have bought some more products from this line and with all the positive reviews and as it's always out of stock this brand is amazing and affordable. Used the entire bottle and didn't notice any improvement. Definitely, not the best one from The ordinary. I bought this because of Wayne Goss raving about it on Youtube. I agree with what he said about it being an instant pick me up for your skin; after I use it at night, my skin has a nice glow to it the next day. I've tried using it during the day if I have plans in the evening, and it works at allowing my face products to apply better but there are a few things to be aware of about this product: - DO NOT USE MORE THAN 5 DROPS ON YOUR WHOLE FACE, less if deffo more - it's a runny oil, so be aware if you're planning on putting more makeup over it later (I would say at least 1 hour later minimum) - I have relatively sensitive skin and it stings, borberline burns, leaves my skin red in certain areas for a bit, especially the dry areas around my nose/mouth (I don't think someone with dry skin would find this product at all pleasant) - give it time to soak in - as someone who has oily skin I hate the feeling of putting it on, but it needs time to sink into the skin Overall, I'm happy with the effects of it. Deffo not for everyone, but I enjoy using it and would probably buy again when the bottle runs out.